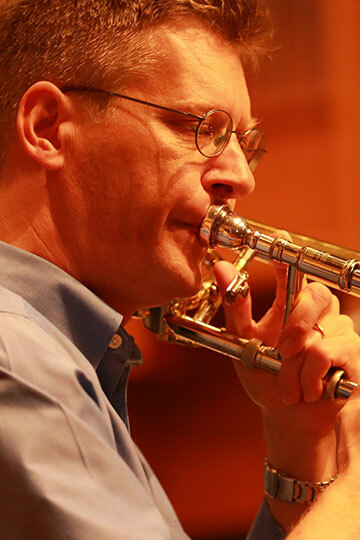 Thomas Hultén, Principal trombone with the Houston Grand Opera/Houston Ballet and Affiliate Artist with the Moores School of Music at the University of Houston, started playing at the age of ten in the local Salvation Army Band in his hometown of Katrineholm, Sweden. After completing his military service with the Swedish Army Band, he studied trombone performance at the Gothenburg Conservatory. In 1988, he won a position with the Bohus Big Band, one of Sweden's two professional full-time big bands. Also a sought-after freelance player, he has performed with the Gothenburg Symphony and the Royal Swedish Opera Stockholm. Since moving to Houston, Texas in 1997, he has performed with the Houston Symphony, Theater Under The Stars, Ray Charles, Tony Bennett, Dave Brubeck, Natalie Cole, Barry Manilow, Patti Austin, Johnny Mathis and Michael Bolton. Hultén has played in the orchestra for several touring Broadway musicals, most recently "A Chorus Line" and "Wicked" at the Hobby Center in Houston. An accomplished composer and arranger, he's been involved in several recording projects, most recently on the movie "Foam" featuring jazz singer Bob Dorough.